Turmeric has been getting a lot of hype lately, and for good reason. 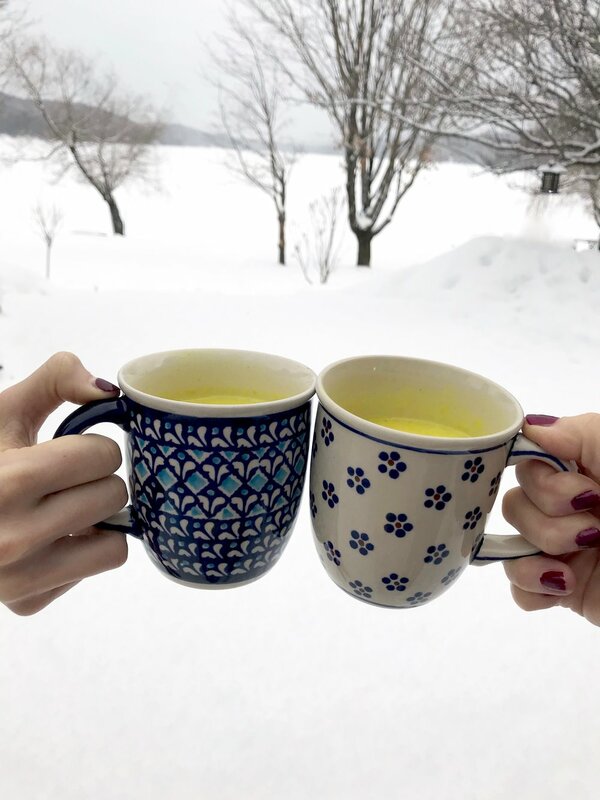 It is a natural anti-inflammatory agent, has been shown to prevent and treat numerous cancers in animal studies, and has been linked to reduce risks for Alzheimer's disease. Most of us will know turmeric from the bright yellow colour it lends to curry powders. 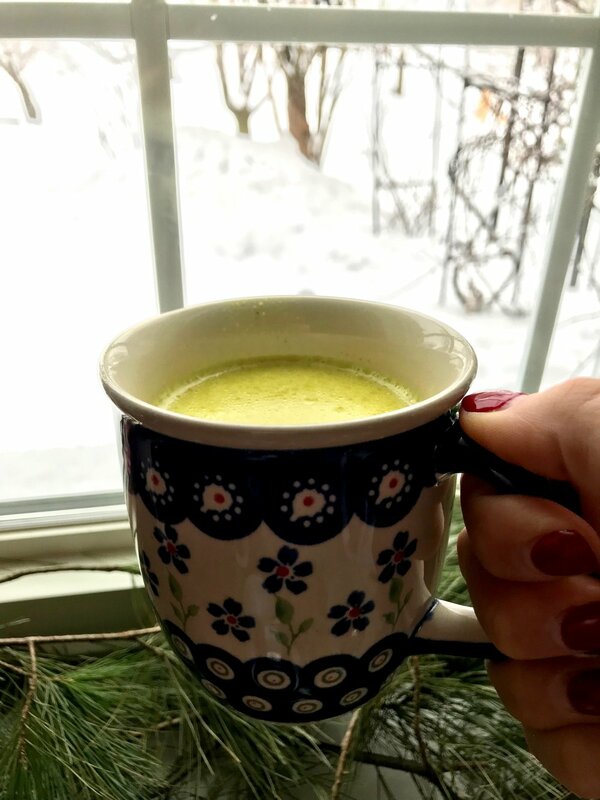 For a while I was making a turmeric tea, but then after doing some more reading I learned that many of the beneficial compounds of turmeric can't be absorbed by the body unless they're consumed with fat. 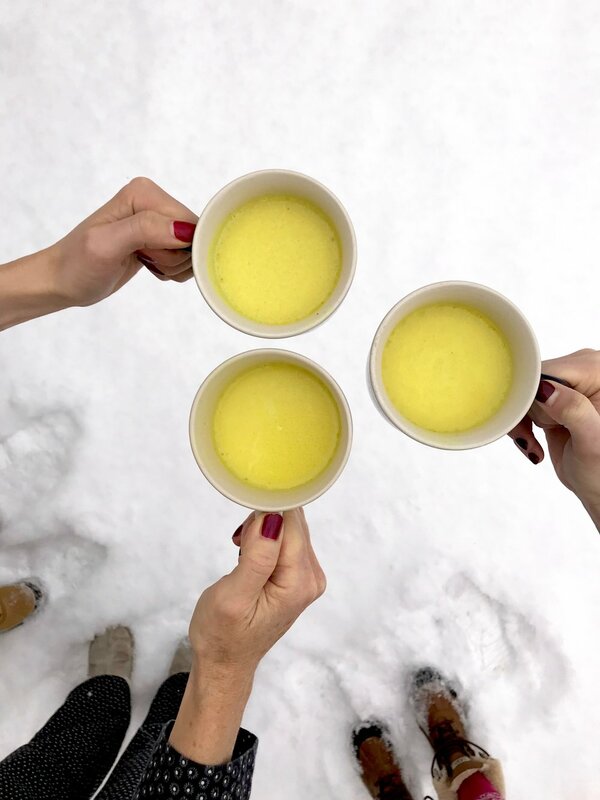 Enter the turmeric latte. 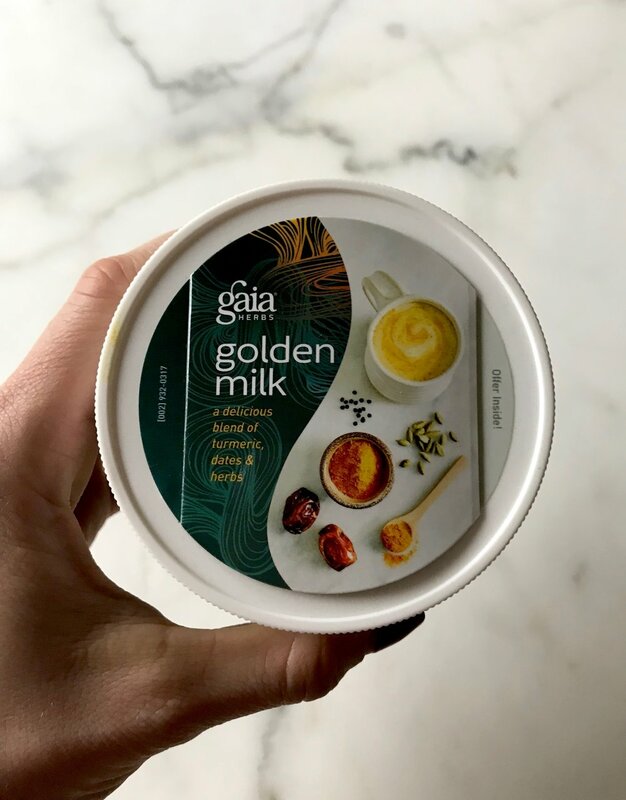 Also known as golden milk, this drink has been around for centuries but has recently been gaining popularity among the wellness crowd. I thought I'd share my recipe with you! 1. Warm coconut and other milk of your choice in a saucepan over medium high heat until hot but not boiling, stirring constantly. Remove from heat when at desired drinking temperature. 2. Remove about 1oz of the milk mixture to a small bowl and whisk with the spice blend to form a slurry (this step stops clumps from forming). 3. Pour the slurry into the rest of the milk, and whisk to blend. 4. Whisk in the honey.